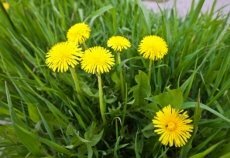 У результаті опрацювання навчального матеріалу учні матимуть визначити та проаналізувати інформацію про світ тварин Донецької області, що знаходяться під загрозою зникнення. Використовуються різноманітні інтерактивні технології та прийоми. Урок сприяє розвитку навичок учнів в усіх видах мовленнєвої діяльності: читанні, аудіюванні, письмі та мовленні. 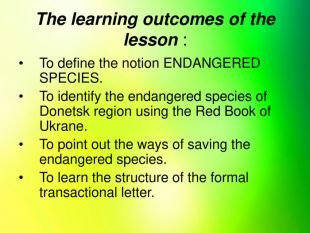 The learning outcomes of the lesson : To define the notion ENDANGERED SPECIES. 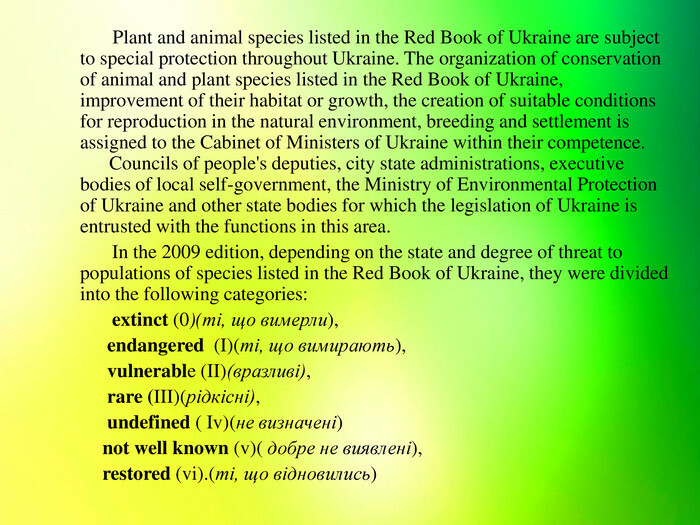 To identify the endangered species of Donetsk region using the Red Book of Ukrane. To point out the ways of saving the endangered species. To learn the structure of the formal transactional letter. 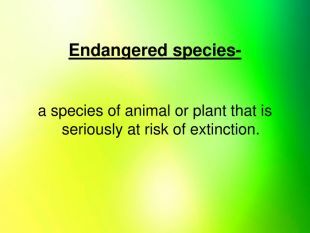 Endangered species- a species of animal or plant that is seriously at risk of extinction. 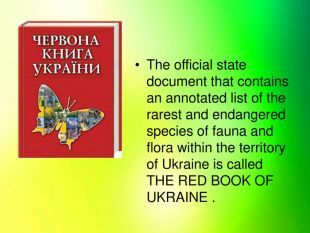 The official state document that contains an annotated list of the rarest and endangered species of fauna and flora within the territory of Ukraine is called THE RED BOOK OF UKRAINE . Comprehension 1. 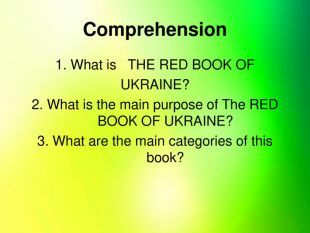 What is THE RED BOOK OF UKRAINE? 2. 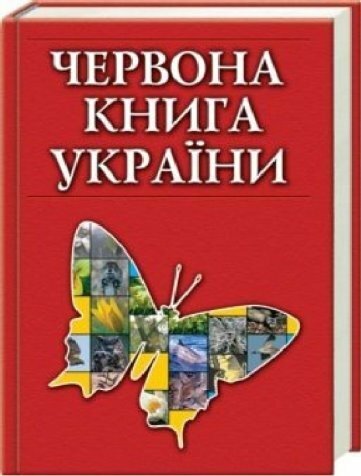 What is the main purpose of The RED BOOK OF UKRAINE? 3. What are the main categories of this book? 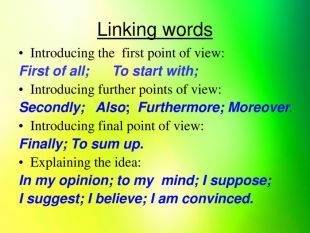 Linking words Introducing the first point of view: First of all; To start with; Introducing further points of view: Secondly; Also; Furthermore; Moreover. Introducing final point of view: Finally; To sum up. 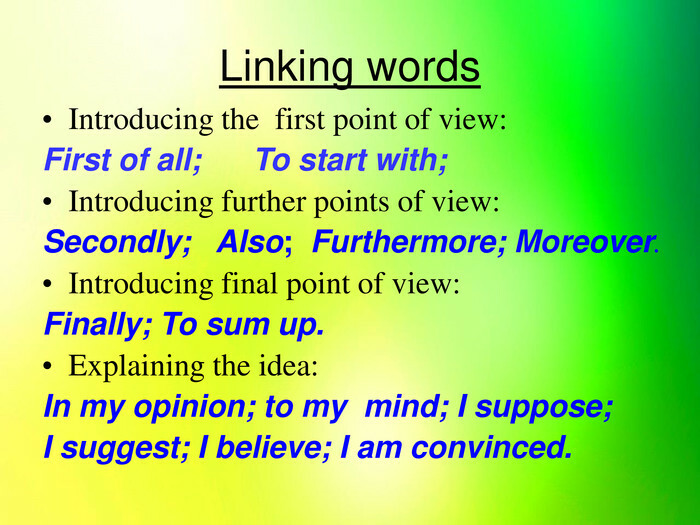 Explaining the idea: In my opinion; to my mind; I suppose; I suggest; I believe; I am convinced. 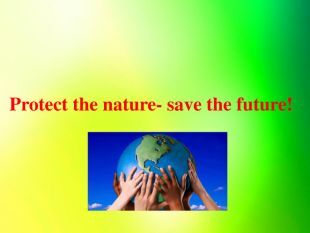 Protect the nature- save the future! 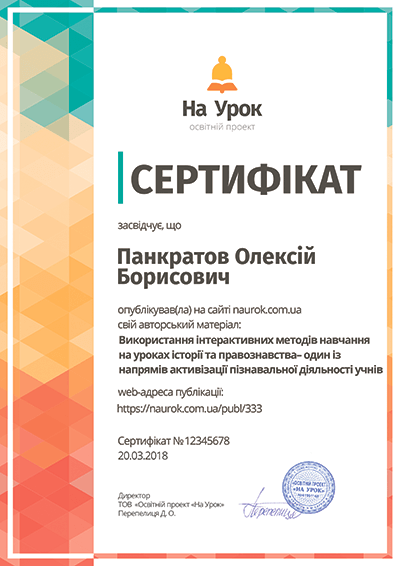 Aim: to enable learners to analyze the information about endangered species of Donetsk Region using linking words. 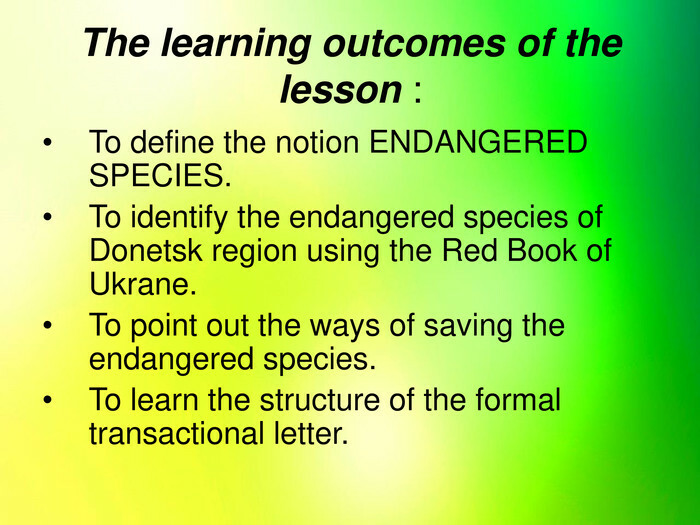 Learning outcomes: by the end of the lesson the learners will be able to define and summarize the information about the endangered species of Donetsk Region with the help of linking words. Type: Integrated. English and Biology. Equipment: textbook by A. Nesvit, 9 form, 2017; PPT presentation; cards with animals; cards with texts from The Red Book of Ukraine; pictures of different species; audio recording; three balls of threads. Teacher: Good day, everyone! Nice to see you! T: I would like you to remind us the theme of the current unit! PL: The theme of our unit is green living and environment. T. This topic is huge! You have already learnt some important information about the environmental pollution, illegal dumping of rubbish, land use. And today we are going to develop our knowledge in one of the most significant part of the green living. I suggest you to find it out altogether! Look at pictures and try to describe them.Addition 1. 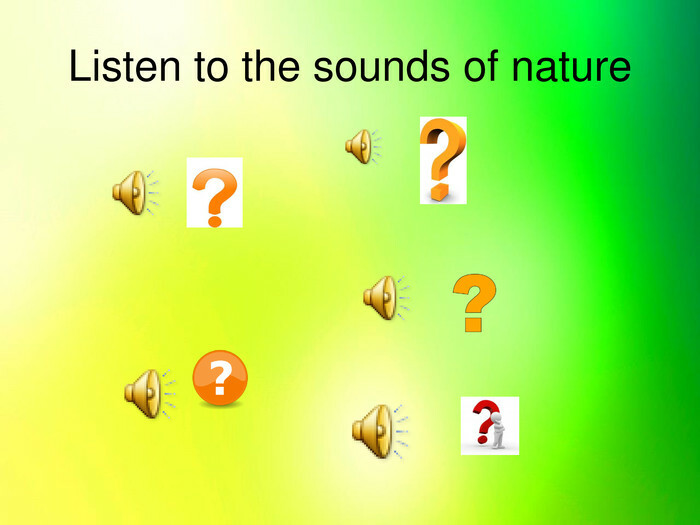 So, name them, the way of their living, try to say what is their habitat, whether you heard about them or not, etc. 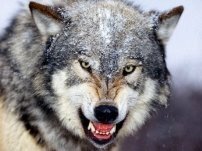 I `ll help you with the unknown words carnivorous (are those that eat other animals) and herbivores (are those that eat plants) (these words are on the blackboard) omnivorous (are those that eat either plants or animals). These words are written on the blackboard. PL: Anorangutan ( Mammal, lives in the rainforest, eats fruits), a sea ​​otter( lives in water, carnivorous ,eats fish), a bison(lives in field, steppe and forests, eats grass), an Amur tiger(lives in the forest,carnivorous), a Cameroon black rhino(lives in warm countries, herbivores ), a Mauritian dront, or dodo, a java tiger(lives in the forests,carnivorous ), an Abingdon ivory turtle(lives in the sea or ocean, herbivores). T: Good job! Now I will take some pictures away and won`t put back because it’s impossible. Tell me what does it mean? T: Yes, unfortunately they are extinct. 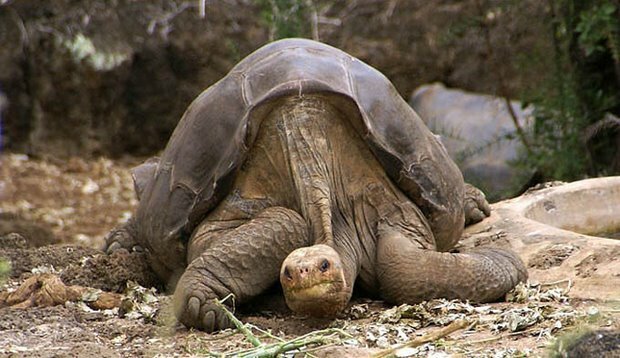 Extinct means that they are no longer alive. But those that are left - still exist! But they are rare, they are endangered species. We have the chance to save them! T: You know that we are living in a cruel world. And unfortunately some species become endangered and some even extinct. There are different reasons, of course. Can you recall them? PL: Environmental pollution: soil pollution, water pollution, airpollution; cutting down forests, people`s activity, etc. T: Thank you. I want to add poaching, also. Poaching means illegal killing of animals because of their fur, skin, trunks, feathers, etc. T:So,as you understood, the topic of our lesson is SOS: Endangered species! T: Let’s define the learning outcomes of the lesson. To define the notion ENDANGERED SPECIES. 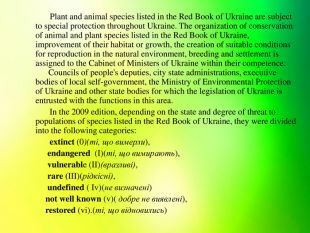 To identify the endangered species of Donetsk region using the Red Book. To point out the ways of saving the endangered species. To learn the structure of the formal transactional letter. T: Firstly let’s define the notion. 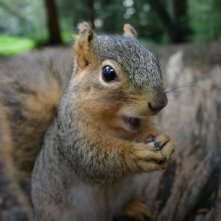 What does endangered species mean? 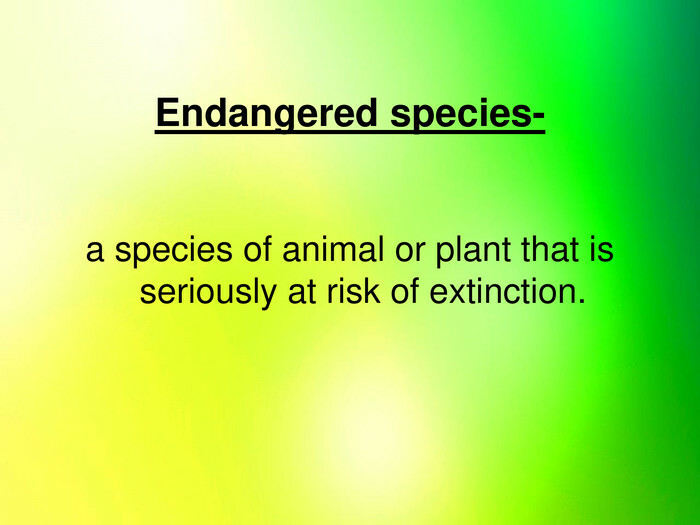 A species of animal or plant that is seriously at a risk of extinction is an endangered species. Open your books at page 76 where you can see different animals. Match the pictures with the words. 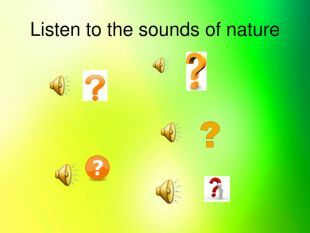 Listen to the extracts of the sound that produce different species and match them with pictures in your book. 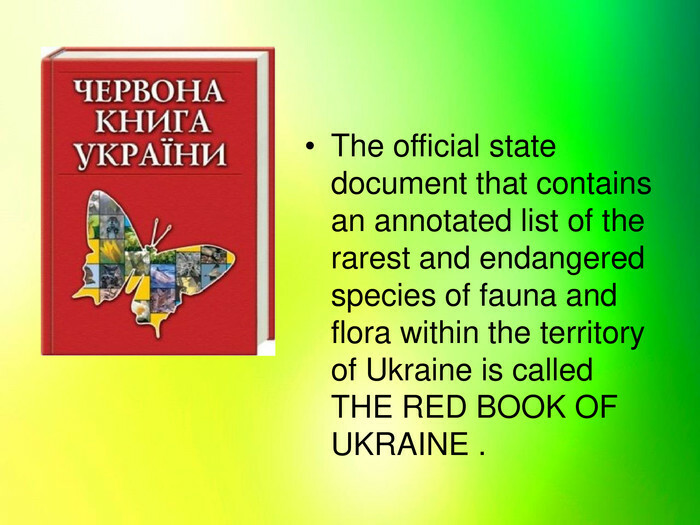 T: The official state document that contains an annotated list of the rarest and endangered species of fauna and flora within the territory of Ukraine is called THE RED BOOK OF UKRAINE. I am sure that you are familiar with this book. Addition 2. Species about which, after repeated searches conducted in typical habitats or in other known and possible places of distribution, there is no information about their existence in the wild. Species, that are endangered, the preservation of which is unlikely, with continued destructive factors. 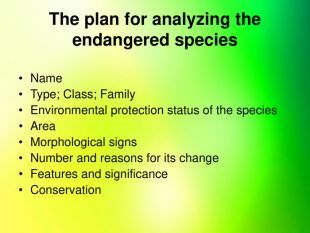 Species that in the near future can be categorized as “endangered” if the factors that influence their numbers continue. Species with small populations that currently do not fall into the category of “endangered” or “vulnerable”. 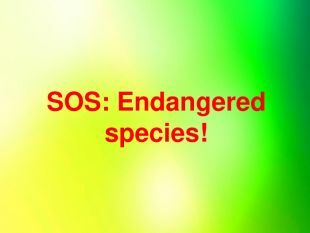 Species that are known to belong to the category of “endangered”, “vulnerable” or “rare”, but reliable information that would reliably help to determine which of these categories they belong to is missing. Species that can be attributed to one of the above categories, but due to the lack of complete reliable information, the resolution of this issue remains uncertain. Species, whose populations, due to the measures taken to protect them, are of no concern, but require constant monitoring. T: Let’s summarize the following information. Answer the questions. 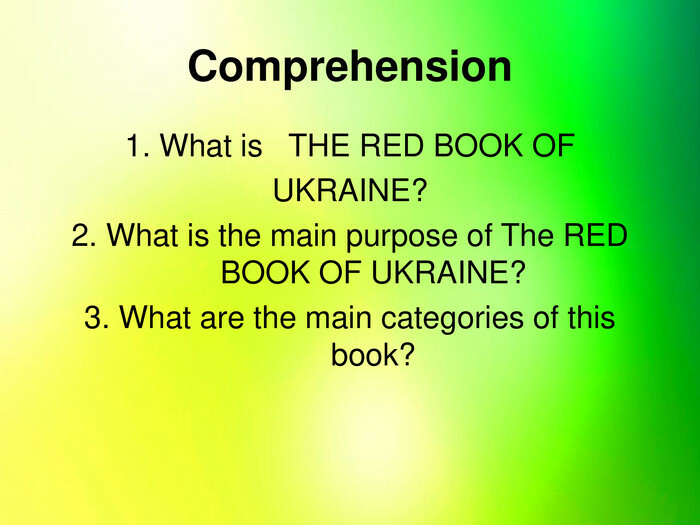 What is THE RED BOOK OF UKRAINE? What is the main purpose of The RED BOOK OF UKRAINE? What are the main categories of this book? Group work. Reading and vocabulary. T: I suggest you creating the page of The red book of Ukraine for young learners. Now you should join the groups by choosing the part of the puzzle of different colour. 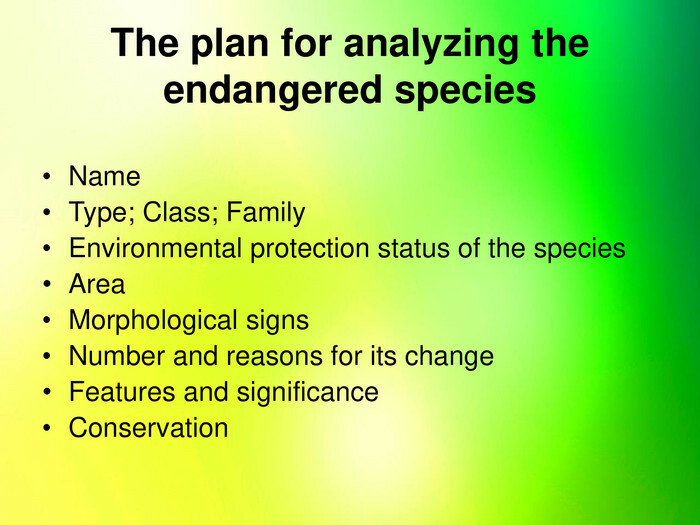 And this endangered species your group will analyze and illustrate according to the plan that you can see on the whiteboard.You are going to describe the endangered species of the area where we live. It`s Donetsk region. 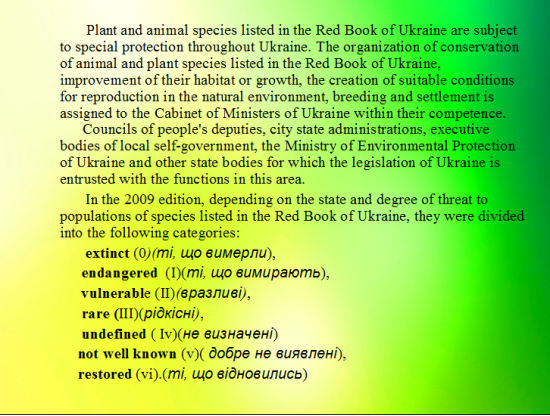 You will use the information from The red book of Ukraine. Environmental protection status of the species. Number and reasons for its change. Find your group members with the help of the colour which represents the element. T:Now, when you have joined your groups you should find out what class of ES you have to illustrate (fish, animal, bird)Addition 5. T:So, what is the key word in your group? Read the text and do the assignment. T: Very well! It’s high time to get the task! Each group has the name of the ES, the biological text about it and the main characteristic features. You have to explain the main information of each ES which we can see in Donetsk region. You have the text, the picture, the paper and the markers. Your task is to classify it according to the plan. Do it in the form of a project. Addition 6. Group 1: an animal, an Eared hedgehog (Hemiechinusauritus). 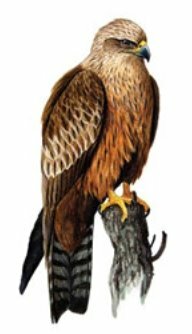 Group 2: a bird, Black kite (Milvusmigrans). Group 3: a fish, Goby stellate (Benthophilusstellatus). T: Time is up!So, please, represent your mini projects. 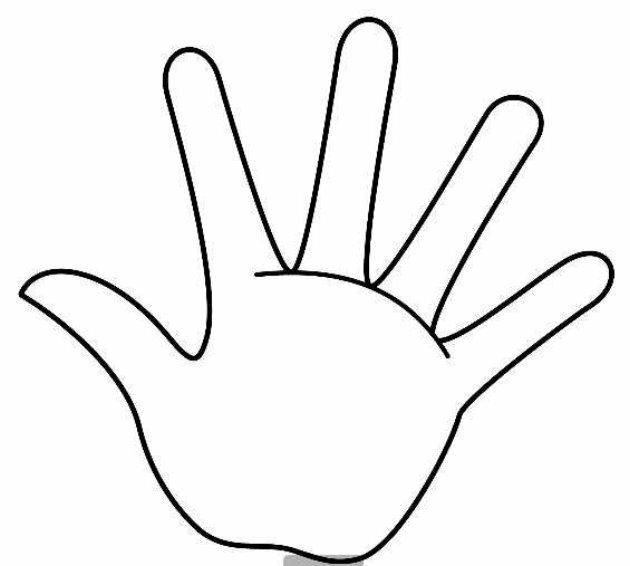 PL: Demonstrate and illustrate the projects to the audience. They can ask questions or apply some additional information. Applying the new material. Writing a formal transactional letter. T: When we speak about something important and we need to give our reasons and express our feelings we use some special words, linking words. Addition 7. Turn your attention to page 77. Here is the structure of the Transactional letter. Let`s read it. A formal transactional letter is a letter you write to respond to the information you`ve read in a newspaper or a magazine or a programme you`ve watched. When you write it, follow the instructions. Dear students. I would like you to stand up and do something interesting and important. 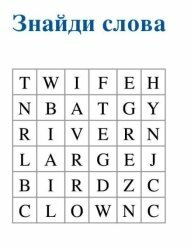 Each of you will get the picture with plants or an animal in different categories: “plants”, “herbivores” ,“carnivorous” and “omnivorous”. One representative of each group will get the ball of thread of a different colour. You know about the food net. Your task is to pass this ball to what you eat. This is the food net in nature. At the end teacher says that some species are extinct and children should let go the thread and give their opinion on what happened. The main message is that if one species dies the other species can also die. The connection is very important. The food net is in danger. Life is under threat of destruction. Children are supposed to say that humanity must protect and save the nature by protecting each species.Addition № 8. Your home assignment is exercise 8 on page 77 (write a letter). So, let’s sum up our lesson. To do this we should recall our learning outcomes. Have we reached them all? We should understand that human beings have to think about every species in our planet. Every species is important in its own way. The existence of species provides the existence of other. Protect the nature- save the future! 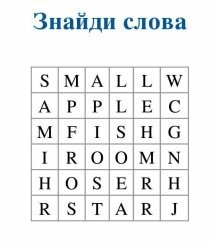 Fill in your evaluation cards and calculate your result.Addition № 9. Representatives of arboreal apes, one of the close relatives of man. 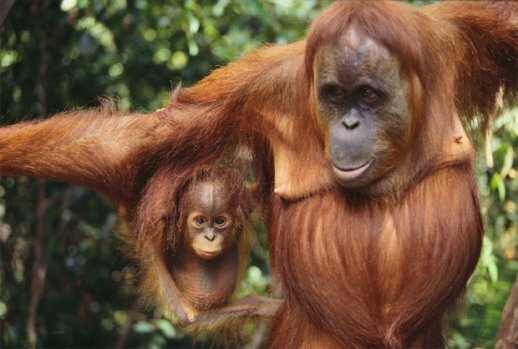 Unfortunately, orangutans are endangered in the wild, mainly due to the ongoing destruction of habitats. Despite the creation of national parks, deforestation continues. Another serious threat is poaching. 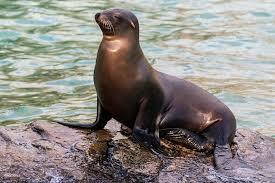 A carnivorous marine mammal of the family Mustelidae, a species close to the otters. The species has a number of unique features of adaptation to the marine habitat, and is also one of the few non-animal animals using tools. 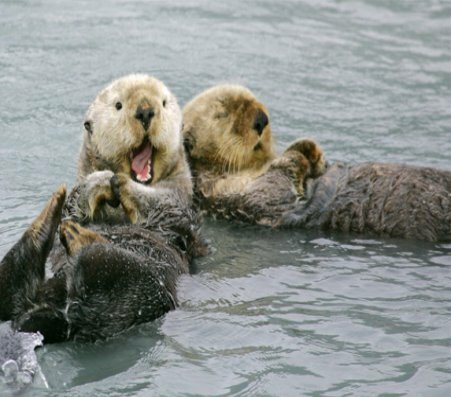 Sea otters live on the northern shores of the Pacific Ocean in Russia, Japan, the USA and Canada. In the 18th-19th centuriesdue to their valuable fur, were subjected to predatory destruction, as a result of which the species was on the verge of extinction. Bison is the heaviest and largest land mammal on the European continent and the last European representative of wild oxen. Its length is 330 cm, height at withers is up to two meters, and weight reaches one ton. 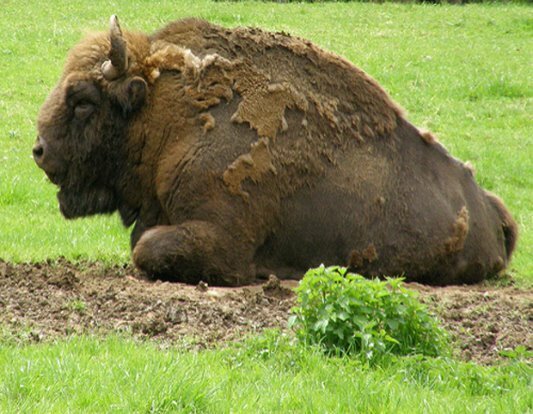 The destruction of forests, the growing density of human settlements and intensive hunting in the XVII and XVIII centuries destroyed bison in almost all European countries. One of the rarest predators of the planet, the largest tiger in the world, the only representative of the species living in the snow. Cameroon black rhino was once widely distributed in many African countries, including Angola, Kenya, South Africa, Ethiopia, Chad, Rwanda, Botswana, Zambia and others, but irresponsible hunting and poaching reduced the population of this amazing animal by the year 2000 to just a few the last individuals. 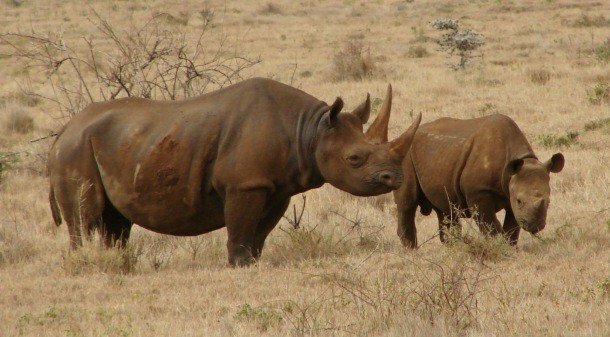 In 2011, this rhino subspecies was declared extinct. It is an extinct flightless bird that was endemic to the island of Mauritius in the Indian Ocean. According to the sub fossil remains, the Mauritian dronts were about a meter high and, perhaps, weighed up to 21 kg. The appearance of the Mauritian dronts can be judged only by drawings, images and written sources, therefore the appearance of this bird is not known in its lifetime. 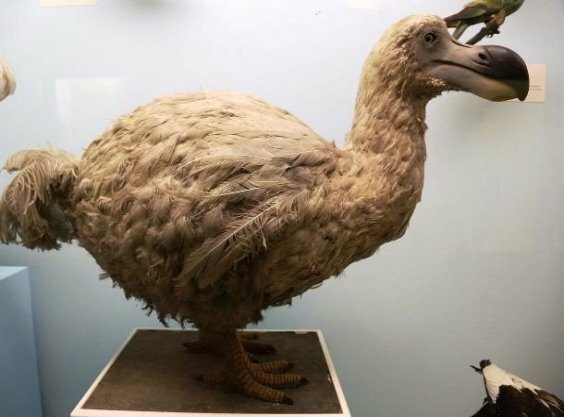 Dodo in popular culture is used as a symbol of extinction and the gradual disappearance of the species. 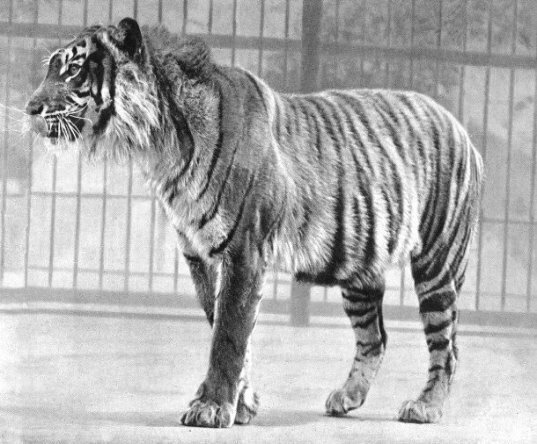 Once common on the Indonesian island of Java, the Javanese tiger was a very small subspecies of the tiger. During the 20th century, the island’s population increased many times, leading to a massive clearing of forests, which were converted into arable land and rice fields. Habitat pollution and poaching also contributed to the extinction of this species. 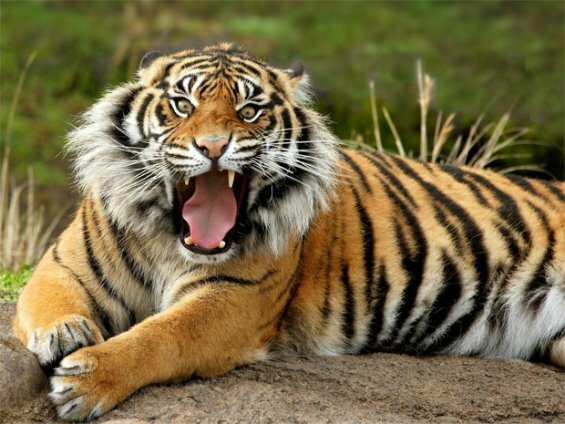 Java tiger is consideredto be extinct since 1993. Graduates and semi-deserts of Eurasia (such as the Caucasus, Middle, Central and Western Asia, Kazakhstan and India). 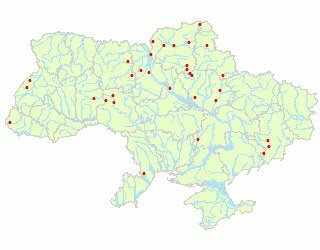 In Ukraine are known from Lugansk and Donetsk region. Number and reasons for its change: Probably, the number of species in Ukraine does not exceed several dozen individuals, but it has never been high. 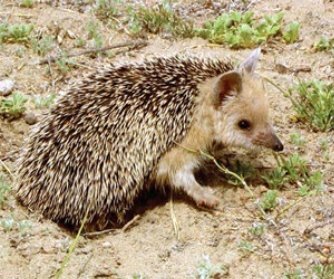 Among the reasons for the change in size is degradation of steppe ecosystems, planting of plots of the steppe with monocultures of the pine, the distribution of the white beetroot hedgehog, the pressure of predators (foxes, stray dogs). Steppe areas, degraded pastures, slopes of ravines, chalk outcrops. Conducts twilight night mode of life. Homes are used as habitation, heaps of humus and weeds are used. For temporary caches uses pits in the ground, cracks in the stones. Has 3-8 babies in spring. the length of the body is 13-23 cm, the length of the posterior foot does not exceed 4 cm (29-39 mm), because the ear is not shorter than 3 cm (29-48 mm), and applied to the cheek extends beyond the eye; needles on the back up to 22 mm; the fur is soft and light, blooming from the bottom, on the sides and on the head is gray-reddish. Conservation status of populations and conservation measures: Repopulation is possible through breeding in captivity. In zoos (in particular, in the Kiev zoo) eared hedgehogs breed well and annually give birth to babies. One of 2 kinds of genus, which unites 6 subspecies. In Ukraine, there is a nominative subspecies. 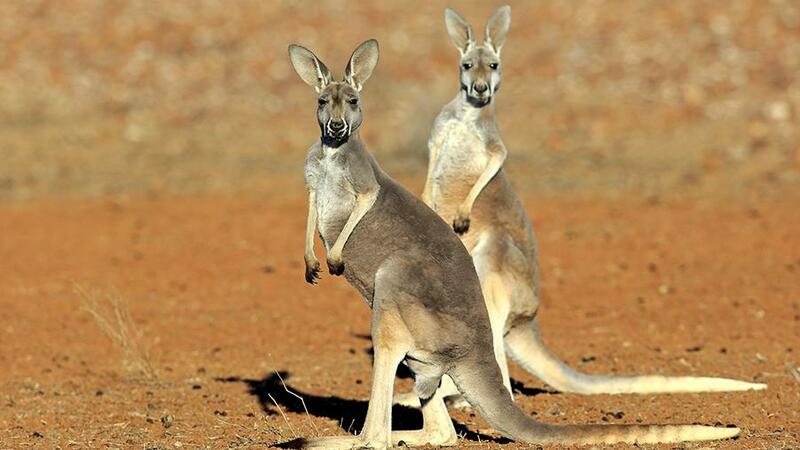 The nesting area of ​​the species covers a large area, including practically all of Europe, Asia, Africa and Australia. 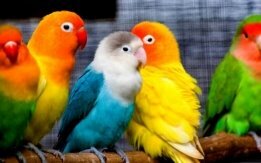 The subspecies, whose are widespread in Ukraine, occur in Europe, the Caucasus, Asia and South Africa. In Ukraine there are about 2 thousands . During the last 30 years, the population has decreased by 3-5 times. If at the beginning of the 1970s, The corner of the forest area, which lies in the boundary between the Dnieper and the Desna, nests about 15 pairs, but now - only 2-3 pairs. The most significant factor that led to a reduction in numbers is the shooting of birds during hunting. Migrant. In spring it appears quite early - at the end of March or the first half of April. An important condition for the nesting habitat of the species is the presence, on the one hand, of water spaces of rivers, lakes, reservoirs, ponds where the birds feed, and on the other is forests. The spectrum of food is quite wide - from insects to small birds and mammals. An important place in the diet is fish, usually dead. The total length of the male body is 554-572 mm, body weight - an average of 790 g; female body length - 570-620 mm, body weight - 962 g.
It is necessary to preserve the places where these birds occur, in particular to preserve the nest of birds of prey, and to explain their significance in nature. Class: Shingles of fish. 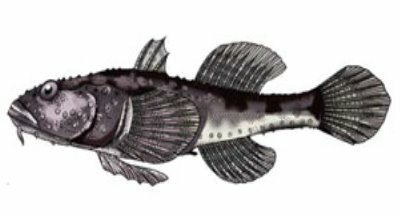 Actinopterygii. One of the 20 species of the genus, one of probably 3 species of the genus in the fauna of Ukraine. Number and reasons for its change: Exactly unknown. In the estuaries and the sea is found on sandy-hardwood soils, and in the rivers it is also on muddy. It is held at a noticeable depth (up to 4-8 m) and a certain distance from the shore, on sandy-mud, shellfish. The body is tense elongated, slightly elevated in the front and barely expanded, in the rear half noticeably reduced and thinned.